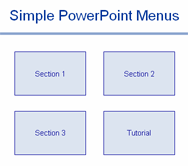 We get a lot of requests about how to create a menu in PowerPoint. 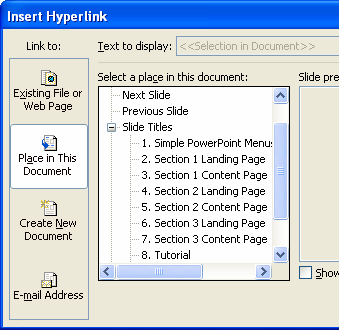 It is easy to create menus in PowerPoint. It is just a question of inserting hyperlinks onto objects to help with the navigation. In this tutorial we show you how to do it. We also include a downloadable PowerPoint file that contains an example as well as the tutorial. The fiddly part is that you will also need to add in back buttons to complete the navigation. Once you have done one button you can cut and paste it to the other slides. You can if you like add the hyperlink buttons into the slide master. But it is not just text boxes that can be hyperlinked. 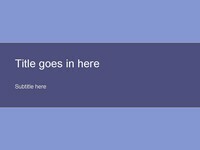 You can hyperlink text, circles, images, images in autoshapes. it’s really making me easier to make a better presentations!! !